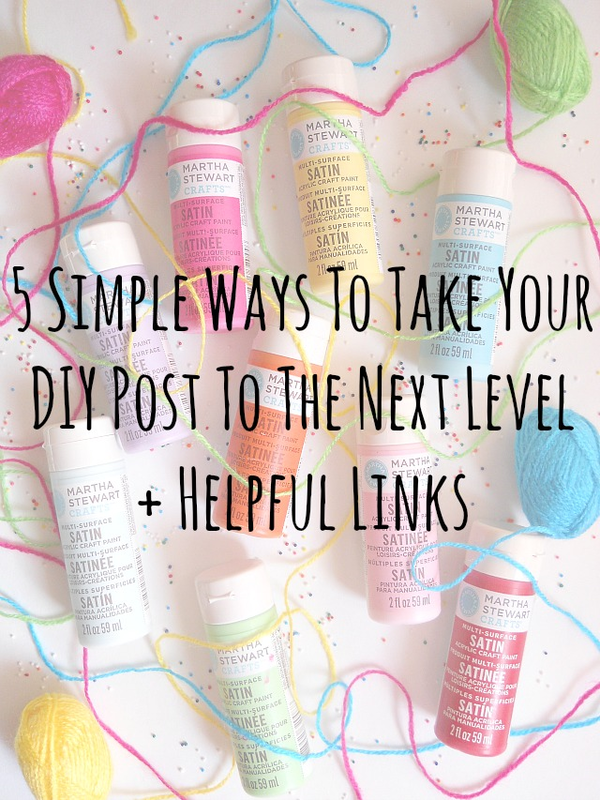 5 Simple Ways To Take Your DIY Post To The Next Level + Helpful Links! With the New Year upon us, you may be changing up or trying to improve your current ''blog game'' (I know I am)! Now if you're in the blog improving boat, then you may be thinking about where you should actually start fixing and improving your blog. After four years of blogging, I can confidently say, that the first place you should start is your content! Content, Content, Content! It's the most important thing on your blog and it's what makes you unique from other bloggers. 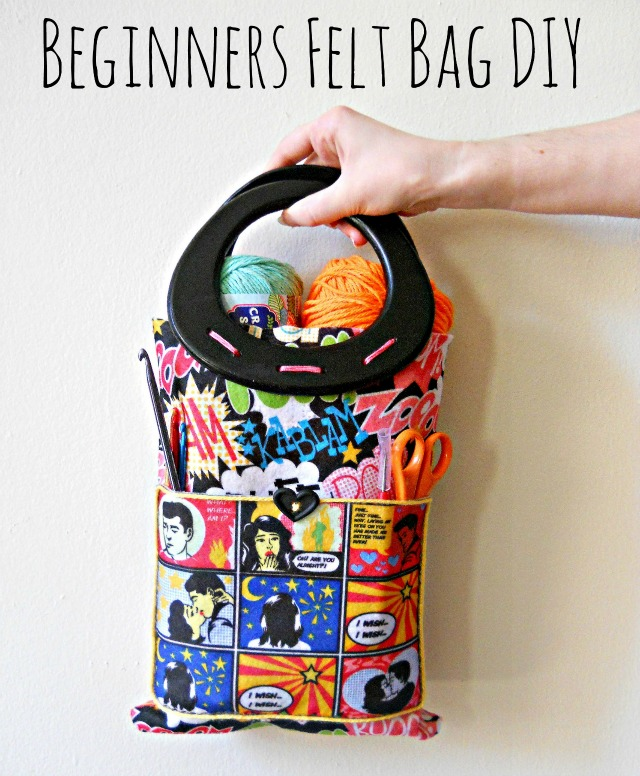 Now if your blogging niche is DIY then you probably know that the community is pretty well saturated. That doesn't mean you can't get noticed, but you probably feel from time to time, that you will always remain the tiny glittered plankton in the crafty sea (which is technically not a bad thing, but that is for another post). However, if your goal is to get your blog noticed (for whatever reason) then you need to start with your content! In the last year, I have made the following changes that I'm going to talk about, and have noticed a huge difference in my blog. Specificity, I noticed a difference in shareability and traffic. So if you're a DIY blogger, then I have 5 simple ways that you can take your DIY Post to the next level. I've also included helpful links, so you can research more on each topic. This is one of the simplest things to do and one of those things which I thought really didn't matter. However, I was totally WRONG! Changing your photos (the ones which you intend to share on social media) from horizontal to vertical makes a huge difference! In most cases, its more pleasing to look at and, on social media sites like Pinterest, it will get you more noticed. Personally, the only photos that I make vertical are the ones which I share on social media. This is usually the finished pictures of a DIY project. By changing these few pictures to vertical pictures, I've noticed that my DIY posts tend to get shared and pinned more. Using a white background is like changing your pictures from night to day! It makes your photos look way more professional and much cleaner. Back in the day when I first started blogging, I would take photos like this (I hate to even share this because it's so bad). Once I started using a plain white background for DIY steps and the ''finished product'' photos, I could tell a huge difference in the overall look. The biggest differences was the overall effect, which went from ''I'm a person making an awesome project on my kitchen table'' to ''I'm a person making an awesome project who may or may-not have a professional studio'' (lol)! Fun fact: I don't have a professional studio and I'm still making projects on my kitchen table, but just with a white background! This was another thing, that I thought wouldn't make a difference. Boy, was I WRONG! Stylizing your photos in just the tiniest way, can make a HUGE difference in how your DIY project is viewed by your readers. By doing this simple step, I've noticed sites and bloggers sharing my content more with their readers. Now you may be thinking I don't have props or backgrounds to create a fancy schmancy DIY photo. Oh, but you do! 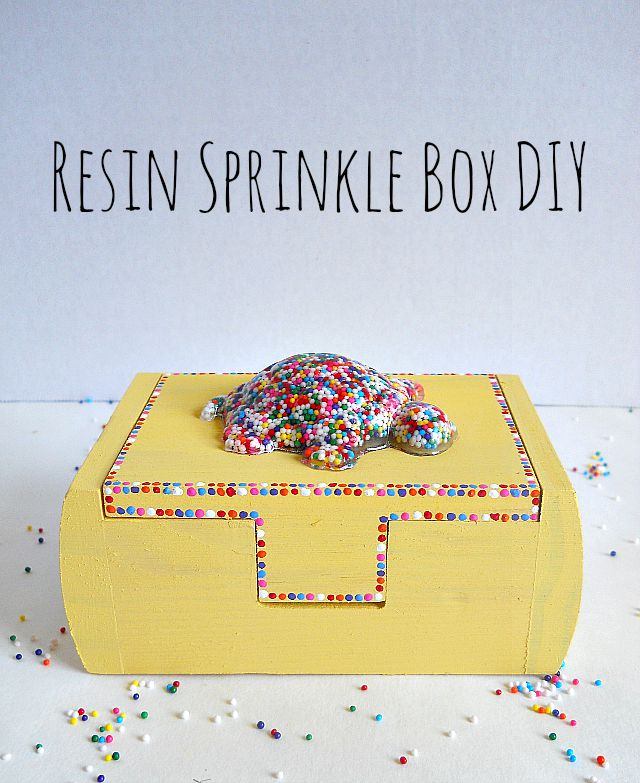 One of my favorite blogs is Studio DIY, and Kelly (I think) is the queen of stylized photos. However, half the time to stylize her photos, I've noticed that she uses materials or themes which are included in the DIY project. For example, in this photo she used candy hearts to showcase her candy heart leggings that she made. So the props you need, may be sitting right around you! It could be the supplies you used in a project, sprinkles, glitter, books or something as simple as a plant. By using your imagination and spending a wee bit more time on your photos, it will help you tremulously in the long run! Also by stylizing your photos, you are creating a ''look'' that your readers will recognize. 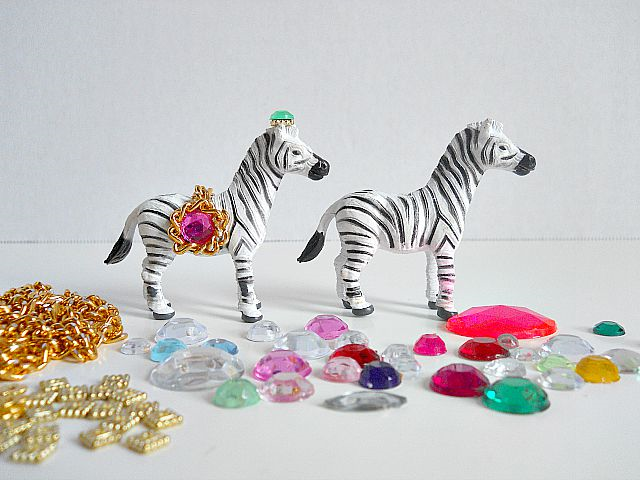 Again, when I see a project from Studio DIY, I automatically know it's theirs, due to the way they stylize there photos! Before I loose everybody about the dreaded SEO, may I point out that ignoring it, won't make it go away! Trust me, I've tried and tried. Don't believe me? I ignored SEOs in my first 3 years of blogging. Only in this last year have I put in the effort to actually read an article on SEOs. So if you're new to blogging, your first question might be what does SEO stand for? Well, it stand for Search Engine Optimization. Now your second question, is probably how does it help me? In a nutshell SEOs can improve your site's ranking on Google, which helps direct more traffic to your blog. There are so many articles about SEO that I won't get into every little detail. However, learning more about SEO and the best way to use it for your blog, will help your blog grow in the long run. In the past year, I've been reading articles and using sites like Google Analytics to get a better grip on SEOs. Doing so has helped me learn more about what my readers want (due to search engine searches) and keywords which are helpful to my blog. 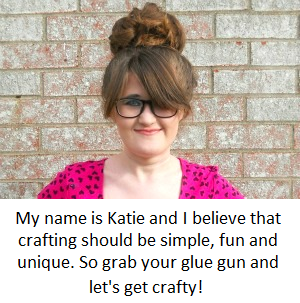 Along those same lines, creating searchable titles (I feel) is important for DIY bloggers. Us creatives, seem to like creating wonderfully written titles like ''Out on The Ocean Mystic Blue with Rope Detail Sewed Pillow for the Beginner'' (lol). Even thou this sounds amazing, no one is ever going to search those exact words. Most likely they would search ''How to Sew a Pillow for Beginners'', ''Sewing a Pillow for Beginners'' or ''Beginners Pillow'' and so forth. Now that doesn't mean you can't be creative with your title. You could always throw in other words to make your project sound more appealing and to gain a wider audience. For example you could write, ''Sewing a Nautical Pillow for Beginners''. By making your title more search friendly, it will drive more traffic to your blog and make your projects reach a much wider audience on sites like Pinterest. When I say improving your writing style, I don't mean changing (necessarily) the way you write. Because finding your writing voice is important and a crucial part of the way you present your blog's content. However, at the end of the day, your writing must be well polished in order to connect with your audience and to give them proper direction (if you're a DIY blogger). In a post I wrote called 3 Tips for Writing a DIY Post, I talk about the importants of finding your ''direction voice''! 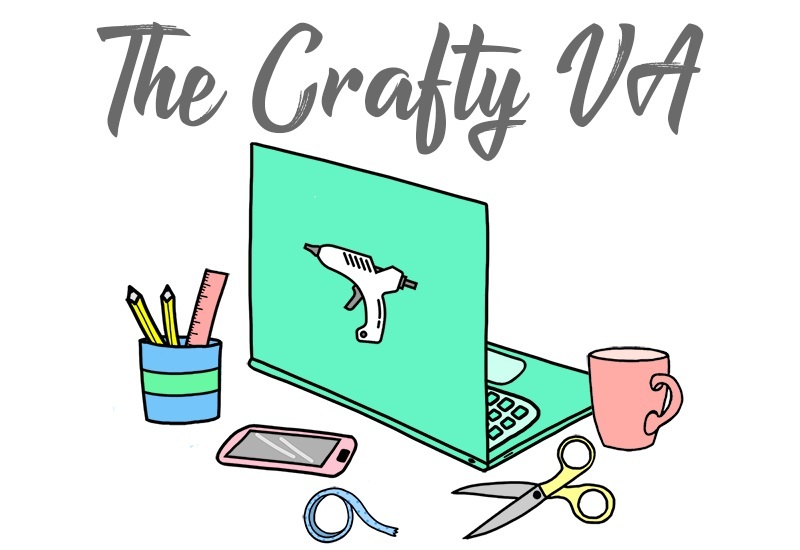 As a DIY blogger, it's inevitable that you will write blog posts which are essentially directions for someone to make something. Knowing how your audience likes to read directions is SO important. For example, does your audience like short directions (think of P.S- I Made This) or more detailed directions (like A Beautiful Mess). Either way, finding the right way to give directions, which goes with your overall blog style, is something to think about. Along those same lines, every time before you hit the publish button, you should double check your grammar, spelling and re-read what you wrote. I find that re-reading my blog post out-loud, helps me to find those little mistakes I may have missed. If you're really unsure about your writing, you could always write in a word document first (to catch all those little mistakes), then cut and paste it into your blog. 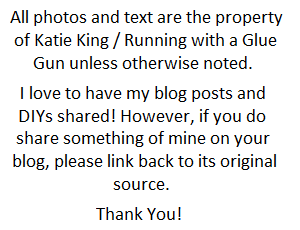 As usual, this post was not supposed to be this long (lol)! Well, at least you got your blogging meat and potatoes for the day! Also (on a side note), even though I wrote this post for DIY bloggers, you could totally apply these tips to whatever blog niche you are in. So what do you think? Have you tried any of these ideas in the past and seen results? 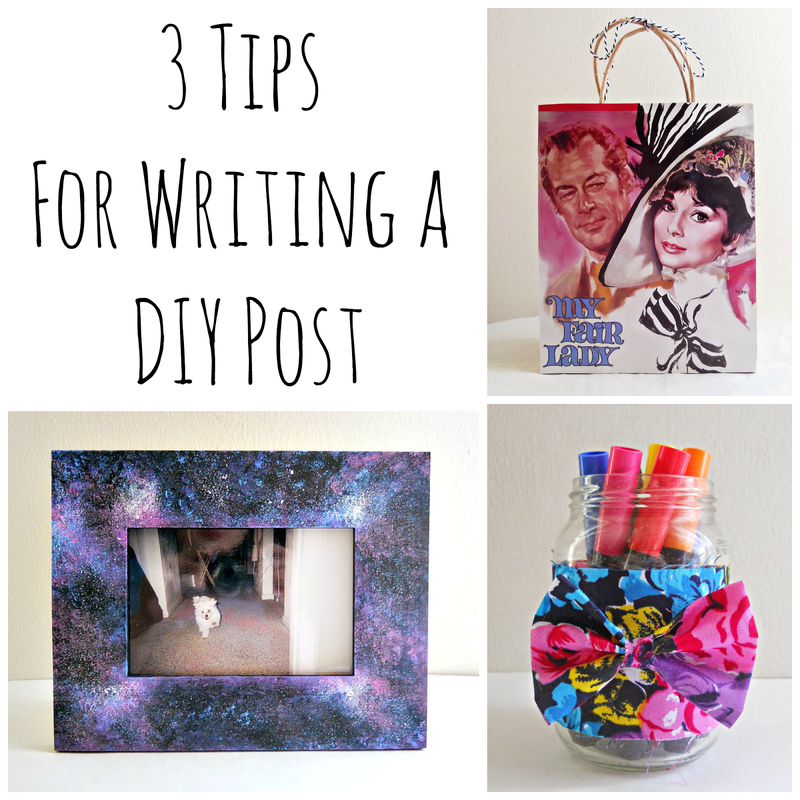 Do you have any articles or tips to recommend about how to take a DIY post the next level?